I’m fascinated by how emerging techniques in data analysis are opening up new ways to improve business processes. But it is not just the business community that is benefiting from the concepts behind Big Data. 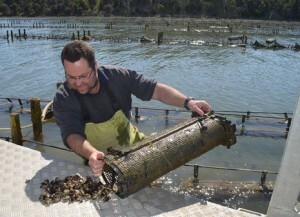 Useful data can be derived from just about anything – even oysters – and used to improve processes. The application of data analytics to environmental management forms the heart of the Sense-T project in Tasmania, and that project is the lead example in my first posting for The Guardian’s Australian website. But even this ambitious project represents just the earliest stages of how we might wield data to make a better world.